A new feature has been added to Search Console Helper: Crawl Errors Report. The feature can be accessed via the Crawl error page link, found on the top navigation bar (see the screenshot above). Upgrade to the latest version (1.0.91). Normally, you will be offered to upgrade when you launch Search Console Helper. 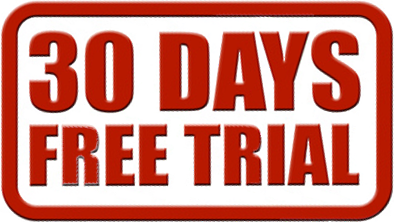 If you are unable to do so, please download & install the latest version, manually. 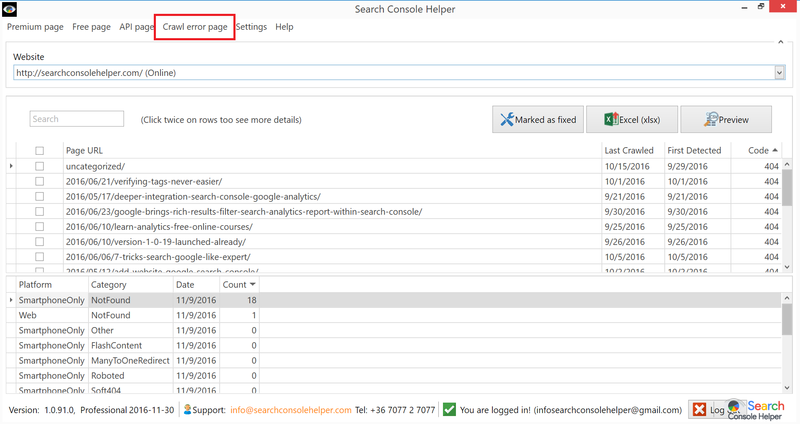 Launch Search Console Helper and select Crawl Errors page in the top navigation menu. To learn more about monitoring and fixing crawl errors, please read How to Monitor and Fix URL Crawl Errors with Search Console Helper. As with all other data in Search Console Helper, crawl errors data comes directly from Google via its API. You can read more about this here.